Tea time! 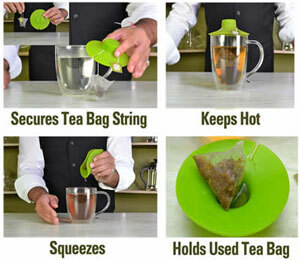 This little helper holds your tea bag while it steeps and traps the heat in the cup in the process. 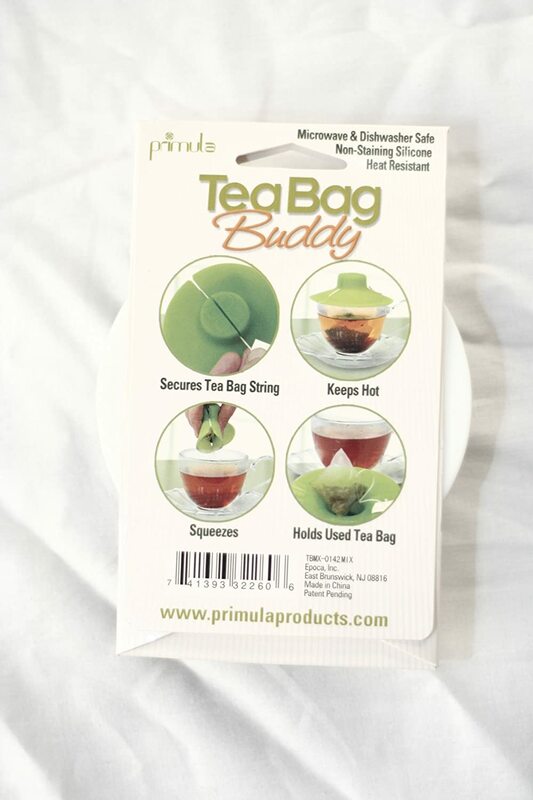 After the tea has steeped, use the Tea Bag Buddy to lift and squeeze excess tea from the bag. Turn it over and it holds your used tea bag. 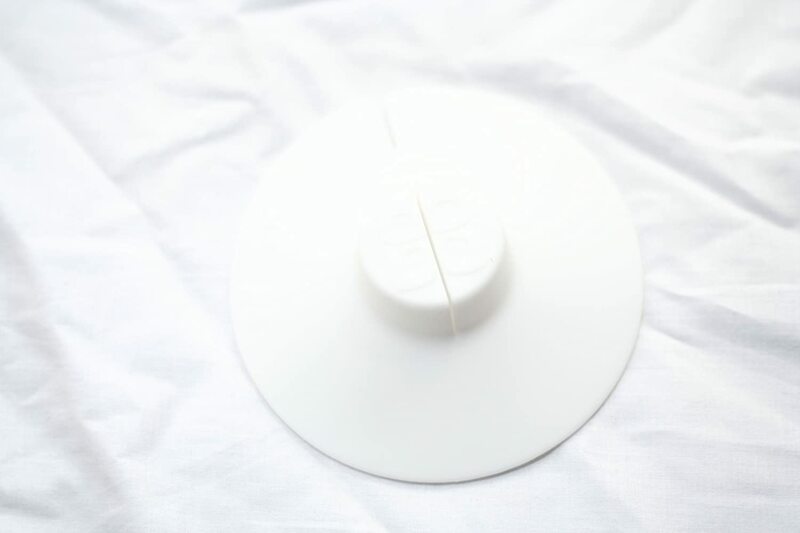 The Tea Bag Buddy secures tea bag strings, while covering the mouth of your tea pot or mug to trap steam inside, keeping tea hotter and improving brewing for optimal flavor. 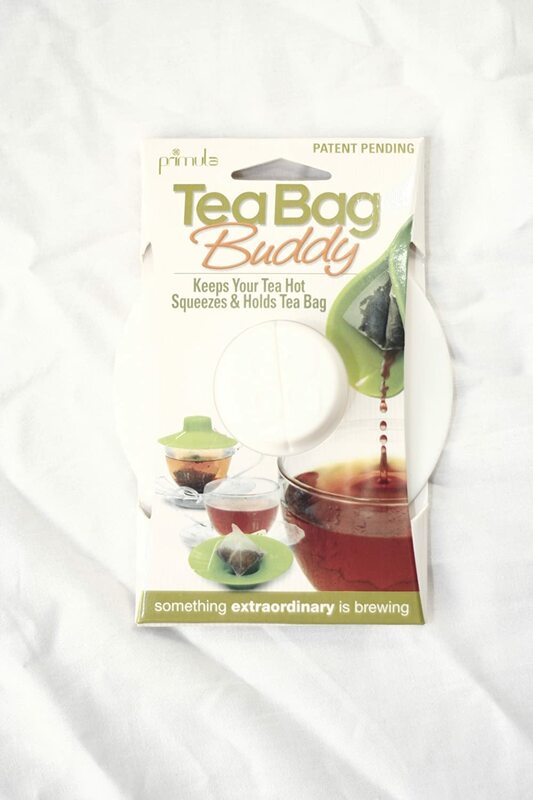 Made of 100% non-staining silicone, the Tea Bag Buddy lets you squeeze tea bag to get out all the flavor without burning your fingers on hot tea. The Tea Bag Buddy also provides a convenient way to hold the tea bag between uses, and its deep reservoirs make cleanup quick and easy. Available in three stylish colors, the Tea Bag Buddy is sure to become a tea drinker's new best friend. Comes in asssorted colors. Colors will be randomly selected. Covers the mouth of your tea pot or mug to trap steam inside, keeping tea hotter and improving brewing for optimal flavor. Secures tea bag strings so they don't fall into the mug.